Mankind has a special connection with trees. You may have experienced the vigour, the stillness, the strength, the slow growth and the power of sanctuary that trees offer. Like man: a being between Heaven and Earth. Once upon a time there was a void: the supreme unknown (Wuji). Inside this void a strange egg appeared. The egg of the primordial chaos (Hundun) contained within itself the substances for the creation of the cosmos, mixed, undifferentiated. As strange as it may appear, the egg cracked and the substances started to flow and evolve, creating its own space. There were three, but looked as one. They were called the essence of matter (Jing), the vital force (Qi) and consciousness (Shen). From inside the egg emerged a being, the giant Pangu, and he began to separate the light and subtle parts that would form heaven (Shen) from the obscure and dense parts that would form earth (Jing). The process took 18,000 years to stabilize heaven above and earth below, preventing them from fusing again into a chaos. After heaven and earth were fixed apart, the giant fell asleep and finally died. His breath became the wind, his voice the thunder and lightning, his left eye became the sun and his right eye the moon. The four points of the compass and the mountains arose from his limbs and trunk, his blood formed the rivers and his veins the ways and paths, his flesh became trees and earth, the hair on his head became the stars in the heaven, his skin and the hairs on his body turned into grass and flowers. Metals and stones arose from his teeth and bones, his sweat became dew and from his body were formed the different races of human beings. But what happens in a cosmos if that which has a fiery, subtle and light nature will go up and that which has a watery, dense and obscure nature will go down? Wouldn’t this universe continue to separate? The old classic of mutations (Yijing) sheds light upon this matter. Take for example the hexagram number 12, , which portrays the image of the most yang energy (heaven trigram – three full lines) above, and the most yin energy (earth trigram – three broken lines) below. It does represent this moment of the creation process where the earth is all condensed below and heaven is all hanging above. Now take a look at hexagram number 11: . It shows the most yang energy (heaven trigram) below and the most yin energy (earth trigram) above. The questions and messages hidden in these symbols plays with our notion of harmony and also of life. A common way of looking at them would be that in hexagram 12, where the yang-male energies are in heaven and the yin-female energies are in earth, everything is in its proper place and harmony is achieved. Where in hexagram 11, things are changed. Yang-heaven energies are in the earth position and yin-earth energies are in the heaven position. So, things are messy? The names of the hexagrams have a lot to say about these two situations. Hexagram 12 is called Obstruction whereas hexagram 11 is called Peace. What are the messages of the old sages? That for life to evolve, there must be an interchange of life force between heaven and earth. That which is light and subtle must descend (coagulate) and that which is heavy and dense must ascend (sublimate); and it is only then that peace/harmony is achieved, for life is set in motion in the cosmos. Tradition ascribes to mankind a cosmic role. The greatness of men, its sacred aspect of someone who witnessed the creation process and thus having the memory of its life engendering process in his own body, waiting to be awakened through alchemical processes. The heart of humanity’s alchemy is to establish the axis mundi, the pathway through which the heavenly life force would coagulate and the earthly life force would ascend, transforming hexagram 12 into hexagram 11 and inciting life to move. Mankind is the third force of creation without which the cosmos would not evolve. A heavy duty we might say, that could easily lead us to hubris, the loss of our accurate self-measure. It is necessary to discriminate between an important mediation role and a collective self-inflated ego as being the center of the universe. Back to our bodies. To mediate between heaven and earth has many layers of meaning; but in its material dimension, it does refer to the human physical and vital bodies with the spinal cord constituting a material basis for the vertical flow of life force that will pervade the human body and allow earth life force (yin) to connect and exchange with heaven life force (yang). The whole network of the so called “meridians” (Jingmai), the veins of the dragon and the system of channels that carries life force within the human body seems to be designed to naturally and spontaneously effect this exchange movement. This is one of the aspects that relates us to the trees. We shall remember that our cosmic role is attributed by tradition not to any man but to an Authentic Man (Zhenren), someone that consciously takes on his duty and transforms what is only a sleeping potential into a fully awakened power (De). Until we fully awaken and take on our duty, we do not fulfill our collective role. But the heart of man is easily corrupted and unheeding. How easy it is to forget our duty and to let our body decrease in its mediation power? Then comes nature’s wisdom. I think the intelligences behind the scene of creation thought like an airplane engineer: everything should have a double to assure the function will be fulfilled if either the heart or the body fails. It is then that a tradition of natural magic sees the first connection between man and trees. The trees fulfill the same role in the vegetable kingdom as the authentic man does in the animal kingdom. They constitute an axis mundi with their vertical physical and vital bodies. By taking water from below and ascending it, they sublimate the matter and by capturing solar-light power into its material substances, they coagulate the subtle. Thus by consciously approaching our double in the vegetable kingdom, tradition says that we may remember how to perform our primal duty among many secondary earnings. According to a tradition of natural magic, the social and communal organization of mankind cannot work only inside itself. It needs the heavenly and earthly aspects. Here, the trees present themselves as the earthly aspect where they inspire us to learn about harmonious communal living. Be it inside a family, a tribe or a society, the claim is that the vegetable kingdom, through the trees, is necessary for the organization of human social living. A third aspect of tree work relates to their position among the five phases cycle representing qualities of vital forces related to wood, thunder and wind. (Attempts to compare the five phase model of eastern alchemy with the four elements present in the Egyptian-Greek model by matching the elements usually leads to a distortion of the symbolic meaning of these terms in both systems). In the Taoist alchemy model, the thunder energy is one aspect of the wood phase and brings the foremost exorcist power. By exorcist we mean not only the power to deal with demon-beings as entities but also all kinds of psychic inner shadows, entangled emotions and blockages of vital force flow. The thunder is about driving out the old and bringing forth the new, renewing life, burning the “ghosts of the past”. Thus, the most usual and almost daily work with trees is for emotional clearing and harmonizing, which is using this aspect of renovation of life and psychic filtering that trees offer. Emotional work with the trees is not only to clear out our psychic trash but also to share nature’s feelings; and you may rest assured that nature has very good and nourishing feelings to share. The practical work with the trees has three fundamental layers: 1) Qigong and meditative practices to enhance sensitivity to the vegetable kingdom, 2) Qigong for contacting and moving the tree’s vital force field, and 3) Neigong (Alchemical Meditations) with the trees. The most common experiences start when the tree “takes control” of the life force in your body; a kind of pulsation that was inside the tree starts to move inside you. Then, emotional blockages start to appear as clear as the sun. It reveals trapped emotions in your own body and starts to release them. If you go deep enough into the experience, even a “teaching” from the plant is possible to happen during your healing session. Ancient Taoists claim that the trees were able to work on and eventually heal even difficult situations of mental and emotional problems that today could be classified as psychosis. Though for that, it was necessary for the person to stay long periods of time in contact with the tree. Sometimes a week, sometimes more. Lore says that there were cases where a guardian was assigned. His function was to assure that the patient would not leave the tree and would stay living up there for the necessary amount of time. It was based on this lore that I was recently caught by surprise. 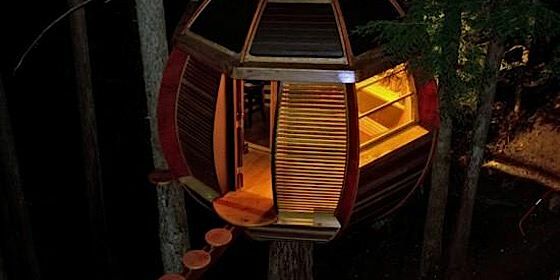 I had heard about tree houses some time ago but in a recent effort to build one for myself, I noticed there is a kind of eco-movement related. 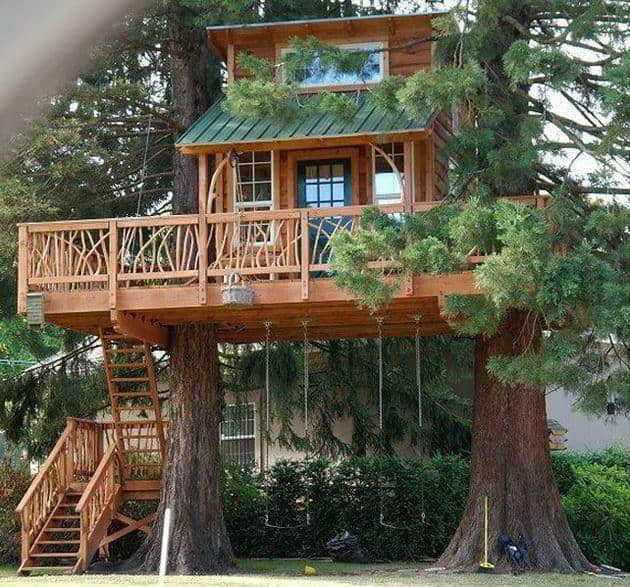 I started to imagine a marriage among the healing practices with trees and the treehouse. 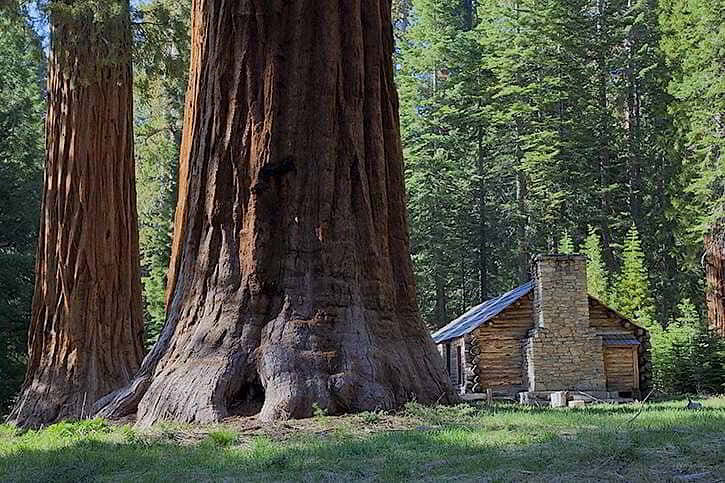 How long could you stay with a tree if you were lodged in some of these beautiful homes?